In 2011, more than trick-or-treaters were active on Halloween as that was the busiest unofficial holiday for reported vehicles thefts. New Year’s Day, however, is still the busiest official holiday according to analysis of National Crime Information Center (NCIC) vehicle theft data by the National Insurance Crime Bureau (NICB). Christmas Day holds the dual distinction for having the lowest theft figure for a holiday and the lowest reported vehicle thefts of any day in 2011—1,347. Excluding Christmas Day, February 2—Groundhog Day—posted the fewest vehicle thefts (1,491) of any other date in the year. The most active date for vehicle thefts was August 1 with 2,687 reported thefts. For the 11 holidays reviewed in 2011, a total of 20,800 vehicles were reported stolen compared with a total of 22,991 reported for those same days in 2010. Although the nation has enjoyed declining vehicle thefts for eight consecutive years, the risk from vehicle theft is still very real. 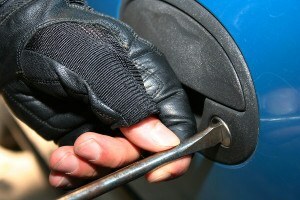 There is always a black market for items obtained by theft, and vehicles remain popular theft targets.